When you are choosing office furniture, there are many factors that need to be considered to ensure that you are selecting the right pieces for your office. You need to make sure that the furniture is stylish and trendy, without sacrificing the quality or comfort of the furniture. Some companies make the mistake of keeping old and outdated furniture in their reception area and waiting rooms, leaving people uncomfortable and dissatisfied when they are in the office. Upgrading the furniture in your office can have an immediate impact to give your office a facelift, and you should consider modern design trends to create the right look and feel to match your company’s image. Contemporary lounges and sofas are the perfect solution to make your office look good, and provide comfortable seating solutions at the same time. From the moment a person walks in the door of your office, you want them to feel welcome and comfortable in the space. When a customer or client is at ease within the office area, they are more likely to build a lasting relationship with your company. But, if they are uncomfortable and uneasy, then they will be ready to leave as soon as they are able. Stylish sofas and lounges are very comfortable and they add a nice design style to the room. You can choose from cushy tub chairs or statement arm chairs that provide individual seats for each person, without the need to use tub chairs or basic chairs in the waiting room. 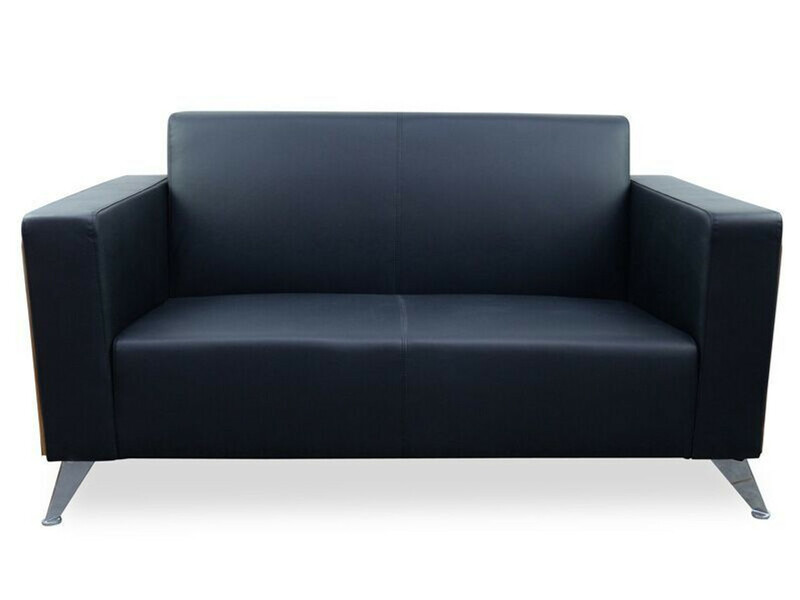 Or, you might use a 2 or 3 seater reception sofa, which is beneficial to create more seats within the office space. Many people like to use the combination of cushioned reception chairs and inviting reception sofa couch, to create options for people who are spending time in the waiting room. As you browse through our website, you will see that we have many chairs, sofas, and lounges that are designed to be complimentary when they are placed together in a room. You can choose furniture pieces that are designed to be used in a set, or you might pick-and-choose the items that match your preferences. Don’t make the mistake of selecting cheap furniture for your reception area or waiting room. The furniture can impact the image and success of your company. Contact us today to order high quality office sofas and lounges that will create the right impression every time someone visits your office space.